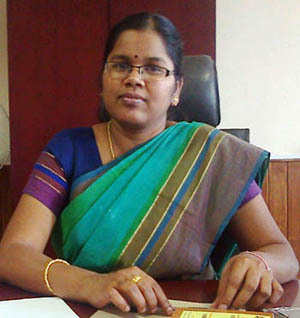 Mangaluru, Nov 14, 2015: At the vigilance committee meeting held here at zilla panchayat office, Udupi Zilla Panchayat Chief Executive Officer, Kanagavalli said that the drinking water projects are delayed owing to inadequate funds released under the programme. "The works are incomplete because of lack of funds. About Rs 10 crore is needed for the payment and works worth Rs 8.44 crore are completed. Due to lack of funds the contractors are not coming forward to take up the works," she added. Member of Parliament, Shobha Karandlaje said that the State government should be prepared to handle the problem of water shortage as the State had received poor rains. The poor performance of the administration in implementing works taken up under Mahatma Gandhi National Rural Employment Guarantee Scheme (MGNREGS) was another issue that was discussed at the meeting. The MP rued that almost all the gram panchayats in the district had failed to avail the benefits of the programme. " The district stands at the bottom in the implementation of the project. Lack of interest on the part of the PDOs in implementing the programme is the main cause," she stated and directed that a taluk level PDOs meeting should be conducted shortly. She said, measures have been taken to introduce community work at gram panchayat level. Three bore-well restructuring will be taken up shortly at gram panchayats and Rs three crore was spent under the programme last year. The CEO said that the by-laws are approved at the gram panchayat for the pending constructions works. District Health Officer Rohini informed that 4,414 beneficiaries were selected under ’Janani Suraksha Yojan’ and added that nine home deliveries were reported in the district and a case of maternal mortality and 69 cases of infant mortality were reported. Udupi DC Dr R Vishal said the district hospital is not utilizing the facilities available. There are two pediatricians and 12 nurses. The occupancy is very low. The Zilla Panchayat Executive Engineer said that the first phase of two multi village drinking water schemes, one at Hebri is completed, while the project at Nitte will be completed shortly. The CEO said that Rs 26 crore received under 14th Finance Commission. The national highway authority said that the pothole repair works on Parkala-Malpe stretch will be completed within ten days and Rs 35 lakh is released. The Agriculture Department Joint Director Antony Immanuel said although there is a shortage of nearly 1000 mm rainfall, there is a good yield of paddy. He said there is Rs 1.78 crore in the department and 540 applications were received for agriculture equipment and 213 were considered adding that the power tiller was in demand. He added under Food Security programme, paddy is grown on 7500 hectares of land and a total of Rs 31.44 crore was released. Measures are in place to grow pulses under the programmes.